When you are surviving on little sleep, nursing a baby, chasing after a toddler, and changing dozens of diapers a day, it's hard to feel pretty. But right or wrong, I do feel better if I take the effort to make myself [somewhat] more presentable-- even if I don't leave the house that day. Nars "The Multiple" Blush Sticks. So easy. So fast. Expensive, but one stick lasts forever. 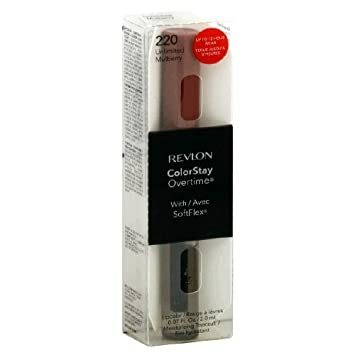 Revlon Colorstay Lipcolor. My lips are so pale that I look half-dead without some kind of color on them. If I manage to swipe this on at 8 a.m., it lasts most of the day, and I don't cringe as much when I look in the mirror at 2 p.m. (My go-to shade is Infinite Raspberry). Eyelash curler. I know. This seems advanced. Taking 20 seconds to curl my lashes opens up my eyes a lot. Last, but certainly not least, my ultimate must-have: Garnier Skin Renew Anti-Dark Circle Eye Roller. The name says it all. It's a cooling concealer you roll under your eyes, and it's simply genius. I can't live without it. What are some of your can't-live-without-em beauty buys?